Scrutiny: Esha Gupta looked gorgeous at the Cama Awards! Be it attending a formal event, or a dinner, Esha Gupta’s outfits have always been on point! Esha attended the Cama Awards in Ahmedabad recently and amazed everyone with what she wore! The actress donned an Ivory Pearl jacket with a pair of white cigarette pants, both of which are designed by Gaurav Gupta. She accessorized herself with beautiful dangling earrings and gave a fine finishing touch with those heels! 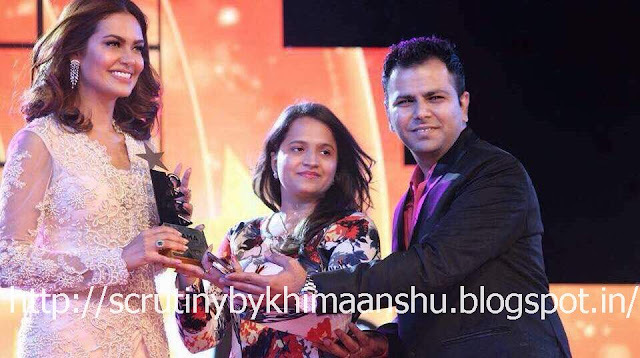 Esha won an award for Diva of the Year, a well-deserved award indeed! Styled by Aastha Sharma and Reann Moradian, with make up by Billy Manik and hair styling by Seema, Esha Gupta looked ethereal.